The biggest example of this change came in the final episode of Game Of Thrones season 7, where Conleth Hill’s Varys character – aka the Spider – somehow managed to get from Meereen to Dorne in a matter of on-screen minutes. This led to jokes on the web that Varys had discovered teleportation, or unlocked Quick Travel like Westeros was one big video game. Of course, the logical explanation for this shortened travel time is simply the magic of editing: whereas previous seasons of the show would’ve spent weeks showing Varys’ journey in painstaking detail, the newer seasons skip over those on-the-road bits and jump ahead to a time when the journey is complete. 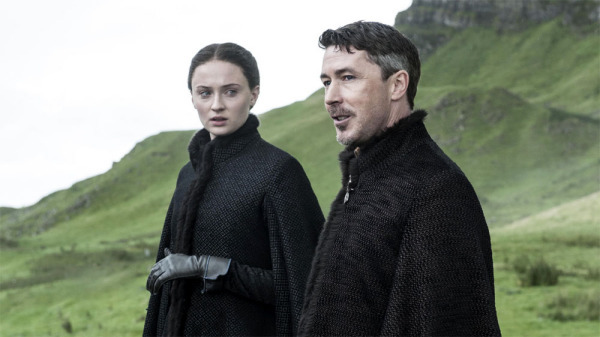 Littlefinger is another character that seems to move around the map very quickly. Game Of Thrones season 8 will premiere on HBO, Sky Atlantic and Now TV on April 14th.